Sproat bend. Down-eye. 2x Fine wire. 2x long. 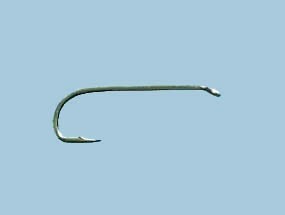 Triple Finish: bronze/nickel.Uses: Mayflies, Hoppers, Terrestrials.25 per packet. Sproat bend. Down-eye. 2x Fine wire. 2x long. Triple Finish: bronze/nickel. Uses: Mayflies, Hoppers, Terrestrials. 25 per packet.